Ibrox Noise: Has this midfielder convinced Steven Gerrard? Has this midfielder convinced Steven Gerrard? When I read that our 19-year-old prodigy Liam Burt was only offered a miserly one-year extension deal, it got me thinking; has Steven Gerrard seen enough of Burt to fully make up his mind about the young promising 5” 8” attacking midfield player? It smacks of the ‘Gers management not being entirely convinced that Liam has a long-term-future at Ibrox. Gerrard seems to be looking for added height and more physicality in his team, especially in the hugely important midfield positions. In season 2014, Burt played 3 games for the Scotland U16’s side, and in 2015-16 he played in 13 matches, and captained Scotland for the UEFA European Under-17 Championship in 2016. He has also featured 4 times for the Scots U19’s and appeared in 5 games for our U21’s side. Liam spent the last part of last season at part-time Dumbarton who played in the Championship, when his initial 28-day emergency loan soon became a 4-month-deal. Manager Stevie Aitken became an admirer, especially with his great attitude. He played impressively and featured in 19 games scoring 1 goal. Gerrard has noticed how rugged and dogged most SPL teams play, especially against us, because we used to be a bit powder puff in midfield. He wants strength and battlers who can also play good football, in this vital part of his team. Holt, for example, had loads of energy, but he wasn’t a good tackler or an excellent passer of the ball, hence the loan deal. Hopefully Burt will go on to realise his full potential, but unless he shows he can open up tight defences, and continue to progress, Stevie G may decide he has too many other better options. Surely Liam and Rangers will require him to up the standard of loan deal for this season, and hope that he becomes a regular first team player for a SPL team. If Kenny Miller rates him highly enough, he will have the option to take him to Livingston. This is probably the only way he can show Gerrard that he can handle playing regular football for another Premier league side. Burt would have to become an ever-present part of the loan side and certainly become one of their best players - if he stands any chance to play in the Rangers first team the season after next – it is a big ask! Apart from Kenny Miller’s Livingston there is a selection of other SPL clubs to choose from: Neil McCann’s Dundee, Martin Canning’s Hamilton, Steve Clarke’s Kilmarnock, Steve Robinson’s Motherwell, Tommy Wright’s St Johnstone or Alan Stubbs’ St Mirren. 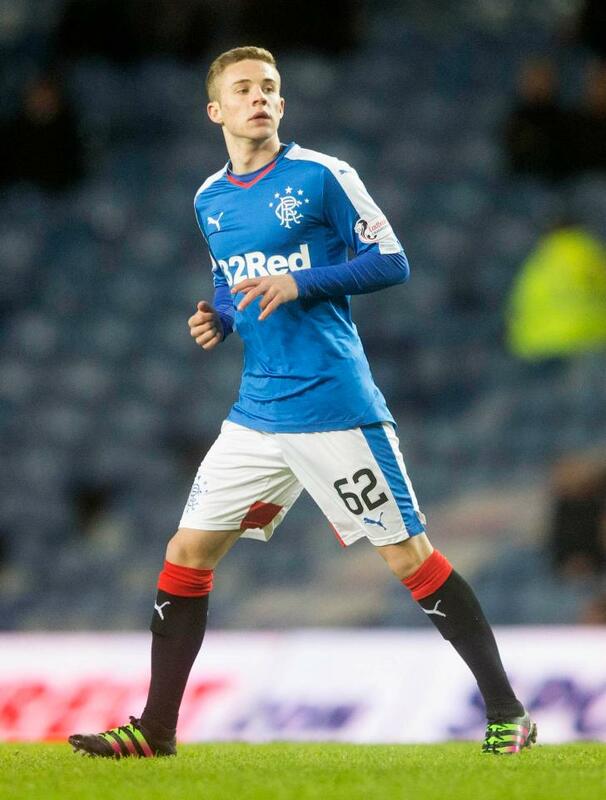 Does this lad have a future at Ibrox? This has to be the way forward for our best youth. Go on loan to a club ideally in the premiership and price you are good enough. For those not ready for that, same deal in Championship. Personally I think Stevie Her is managing his wage bill well, k e year deals for maybe players savi g cash for first trampers is a show of good business sense. These guys are still contracted and with the oppertunity of showing they want it. Long term deals are unnecessary for youth at a club the size of Rangers.